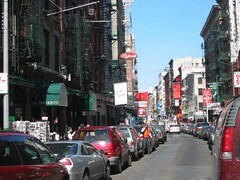 Mott Street is the “unofficial” main street where earliest Chinese restaurants, groceries, and joss houses were established. 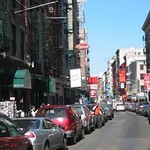 Mott Street is catered not only to the local population but also to thrill seeking New Yorkers and their guests from out of town. In order to appeal and cater to tourists, there are Irish performers, German beers, and Jewish run gambling houses within walking distance.